Clumsy Bear got into the dark dungeons. Finding out he expects a lot of fun adventures. On the way he is hindered mist and huge abyss. But bear uses roller skates to move fast, can jump high, and fears nothing. 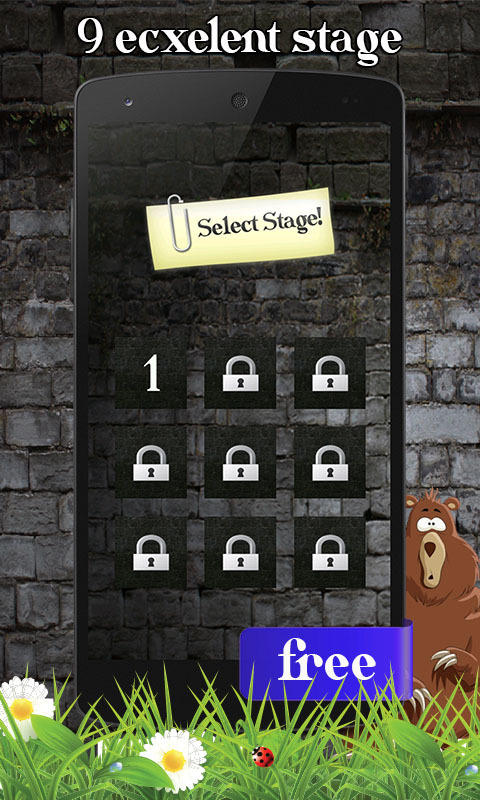 Make a bear in the company of these beautiful and fun adventures through the dark dungeons and help him find a way out. 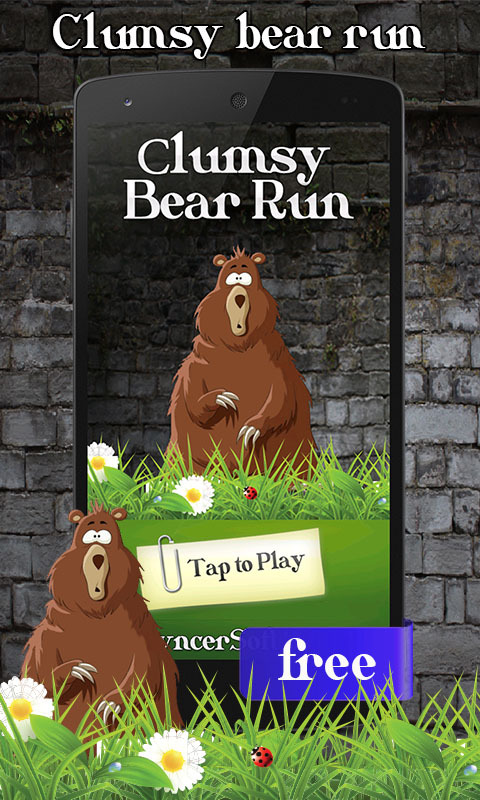 Clumsy Bear run - it is a fun game that will bring you joy and make you happier. Believe me, you will sit down on it. 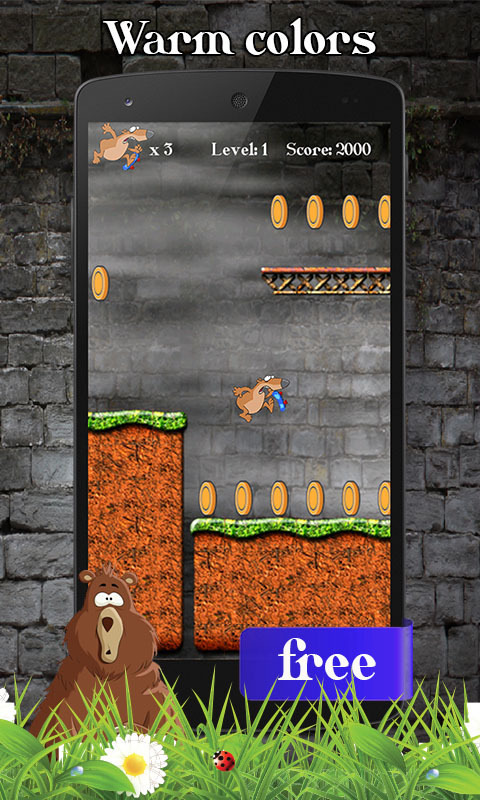 Simply tap the screen to jump. Sweet and good graphics and warm subtle colors that will help you relax and get the most pleasant sensations. -= Features =- - Stunning graphics cartoons and warm colors. - Bring you joy and make you happy. - Funny sound studio quality. 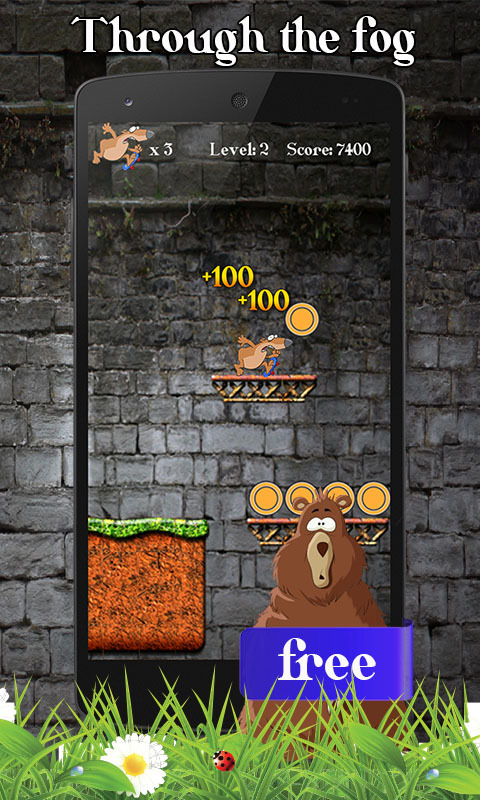 - Make a double jump for the best results. 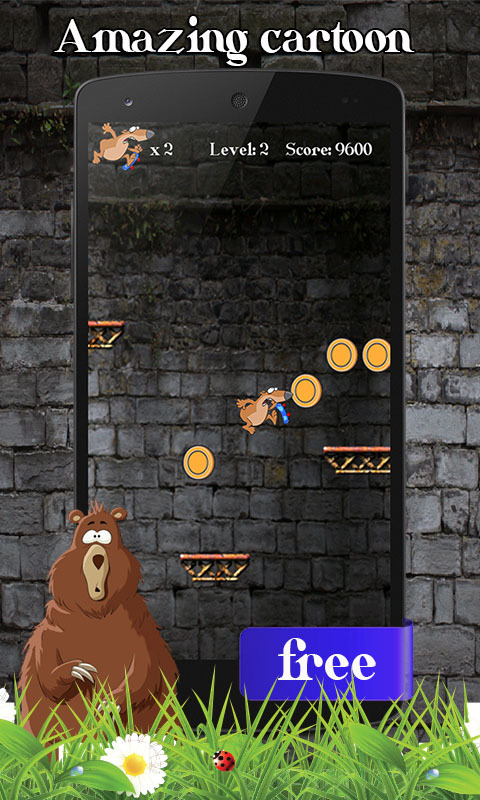 - Collect coins. - Get a new unusual experience.